The culture of a place is, in an essence, its brand. It is about the residents, business owners, and visitors, and what they feel when they are there. Businesses define their brands and marketing campaigns to differentiate themselves in their marketplace, whether it is sneaker company, coffee chain, or big box store. States and cities build brand campaigns to encourage tourism. 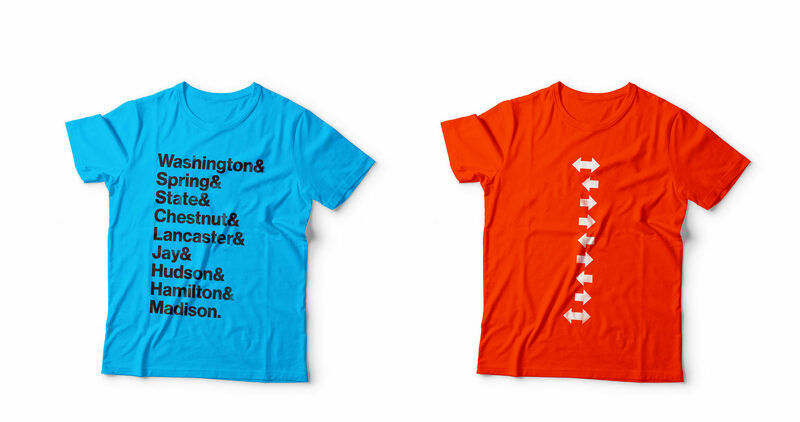 Neighborhoods within cities seek to communicate what makes them unique. 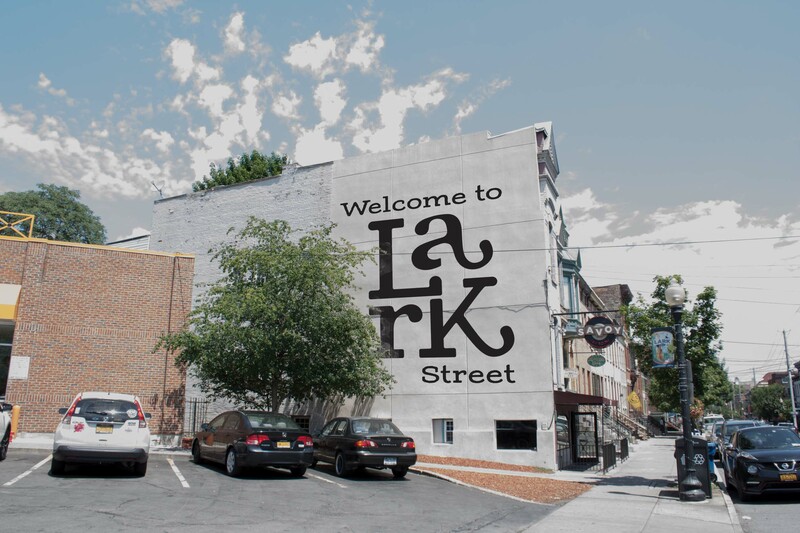 Over the course of a year, we worked with the Lark Street Business Improvement District to better communicate about and bring people to the vibrant Center Square neighborhood in the heart of Albany. Our business moved to Lark Street in 2016, having been previously located in several major cities around the country. This experience allowed us to bring a fresh perspective to the neighborhood. In addition, as new members of the community, we gained firsthand experience to what is special about the neighborhood, what its challenges are, and how we need to better position the neighborhood to prospective visitors. 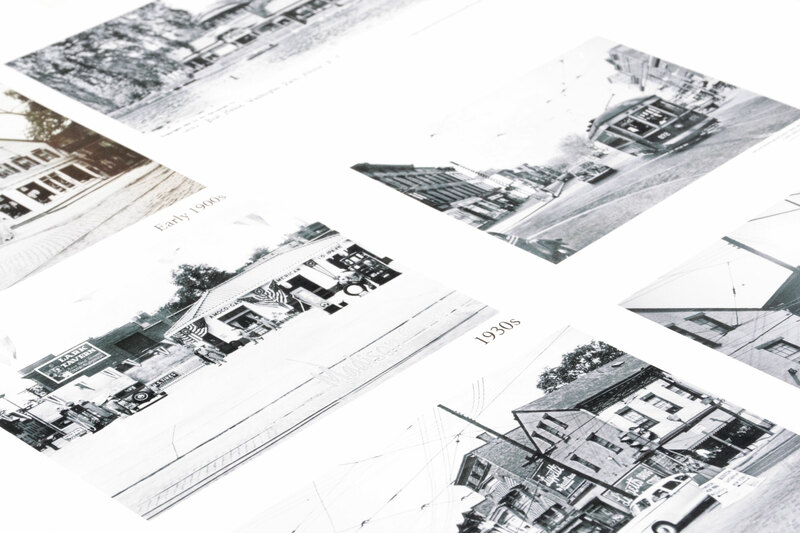 The identity we developed came from extensive research—from interviewing business owners and residents to looking at historical imagery and current signage. The previous logo was an outdated script font and a blue lark birdie, which was cute but fleeting, and fell short of a meaningful mark (not to mention its similarity to the ubiquitous Twitter bird). What did it really say about the culture of this place? 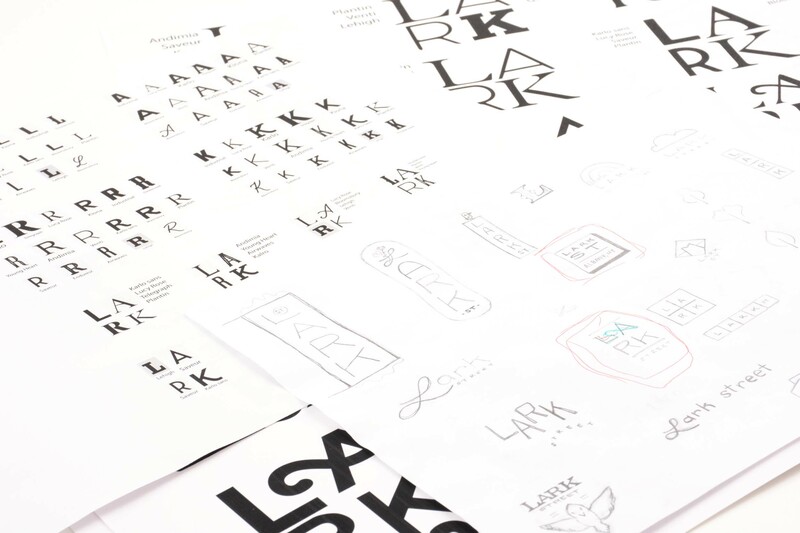 Using our research, design expertise, and unique perspective, we developed a new identity that more thoroughly represents the personality of Lark Street through a hand-modified logotype, lively color palette, iconic illustrations, and vibrant photography with the neighborhood’s original tagline, “The Village in the City.” The new mark was unveiled at LarkFest 2018, Lark Street’s biggest yearly event. 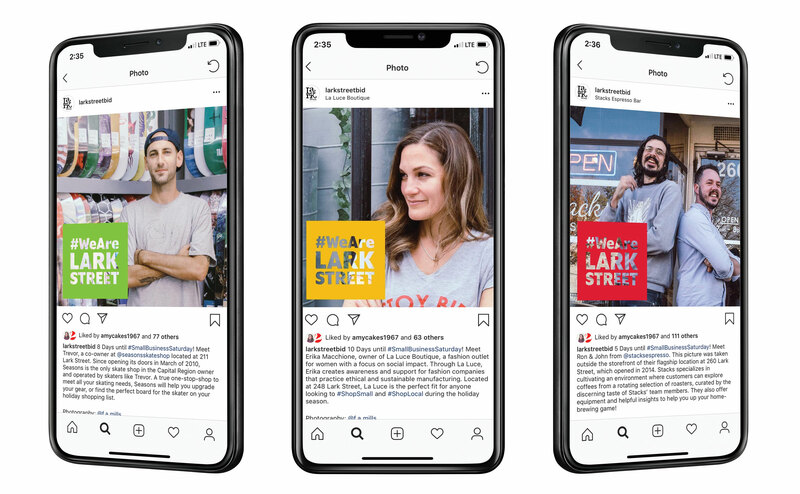 The first communication to launch was a social media campaign, #WeAreLarkStreet, celebrating Lark Street’s network of proud business owners, and setting the stage for an important business event: Small Business Saturday. 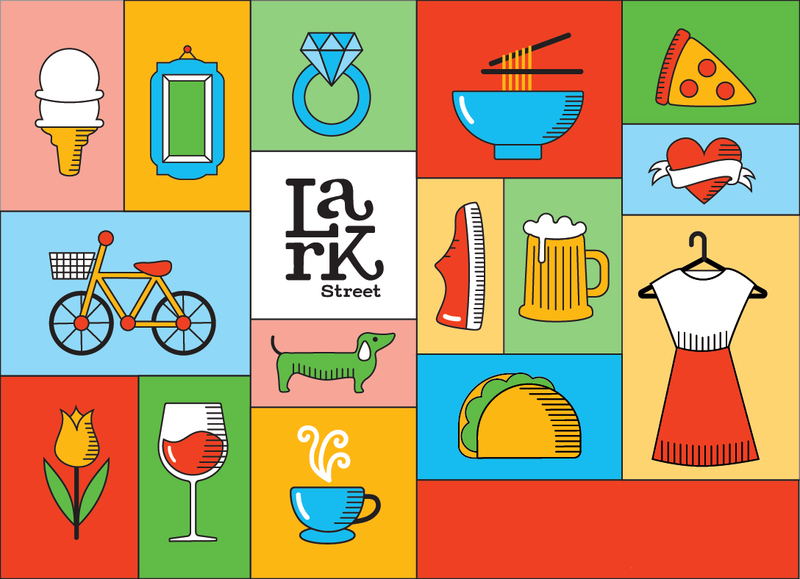 In a time when online shopping is the easy solution, we wanted to highlight the individuals who bring life to Lark Street, offering unique, meaningful gifts, and personal service—something you can’t get online. Tote bags, stickers, and buttons were given out to shoppers to let the identity populate through customer pride. This is just the beginning. Upcoming projects include a mural painted on the side of one of the older buildings to welcome people coming into the neighborhood. 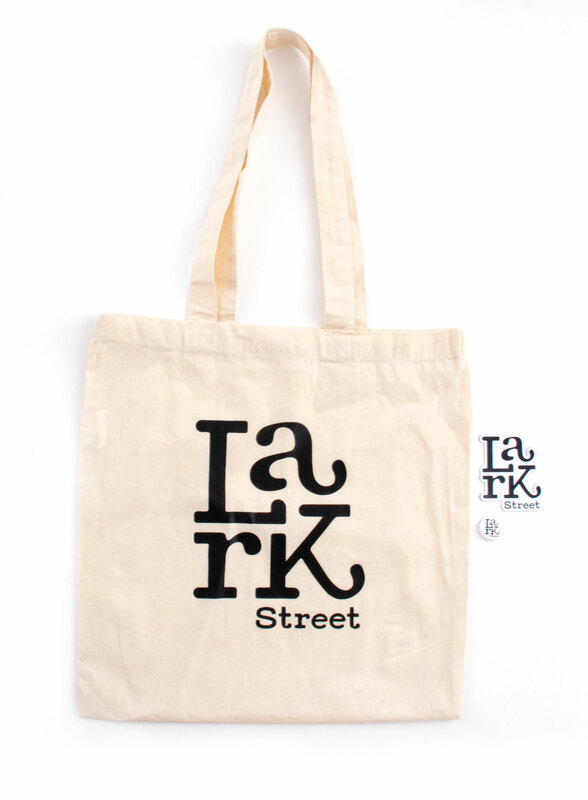 And as Lark Street continues to grow and evolve, so will the brand communications.